The owner's manual may state that this gun is double-action and single-action. That is incorrect. It's single-action only. Our tech department tested the gun and got 320 fps. Warmer ambient temperatures may increase velocity. Likewise, cooler ambient temperatures may cause the velocity to drop. 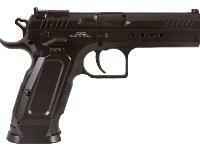 If you use CO2 pistols to maintain firearm proficiency, you'll want to get this pistol. 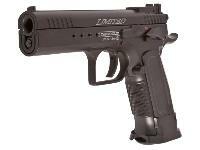 The Tanfoglio Limited Custom CO2 BB pistol is a great clone of the firearm, which was originally introduced in 1997 in 9mm. 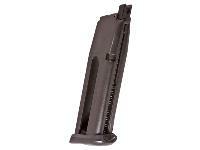 With a functioning slide and recoil, you're going to save a bundle shooting this instead of the firearm. Plus, you can shoot in your home or backyard. What others should know: gun is fast and fun. only bad part is limited accuracy. like all blowbacks it eats up co2 powerlets fast. maybe 60 shots. Things I liked: Nice looking gun "feels" it's good quality. Shoots reasonably well. 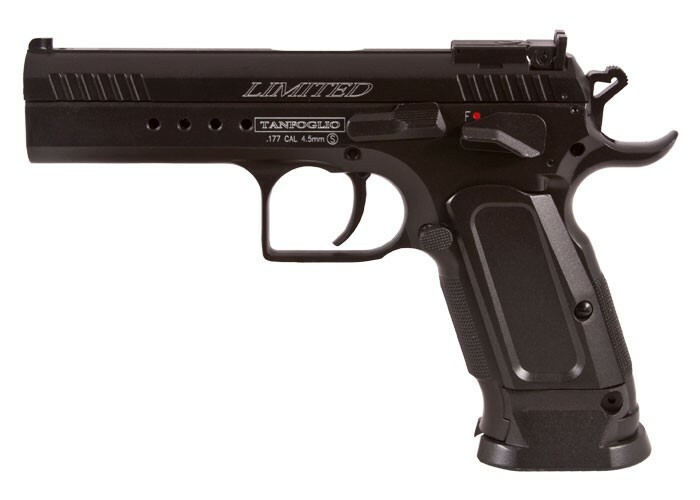 Things I liked: Really light trigger with a very short travel - maybe only about 1/4-3/8". 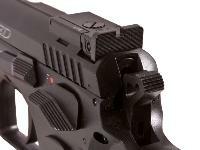 Fully adjustable rear sight with good sight picture. Good weight and balance. Very tight slide and strong blow back. Velocity remains high with little drop off until last few shots in cartridge. Extraordinarily accurate for a blow back pistol shooting bbs. An absolute joy to shoot. Things I would have changed: Not much. 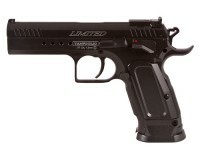 I never thought there was such a thing as too light a trigger but I sometimes fire it prematurely when sighting in. There is not really a wall at the break which I prefer for shooting paper - I almost have to keep my finger off the trigger until ready to fire. 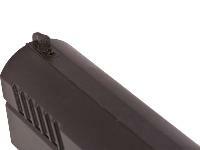 The trigger is very light, short, and smooth so it is still manageable for tight groups. 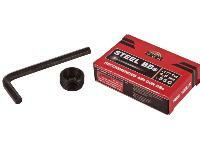 For shooting cans, spent CO2 cartridges and other objects rapid fire, the trigger is perfect. 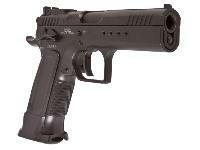 What others should know: It is not as economical with CO2 as many other blow back pistols, but it is worth it. It is much more satisfying to get 30-35 consistent, accurate shots out of this gun, compared to one that might get 80-100 with varying velocity and mediocre accuracy. You really need to shoot it and compare it to other blow back guns to appreciate just how good it is. 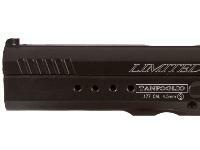 Anyone know if the magazine release can be reversed for a left handed shooter. Thanks! Have not broke. But thanks for the information. I will be watching out for it. Have shot lotsa with it after purchase. One of my favorite BB shooters. Well working crisp blowback and quite accurate. 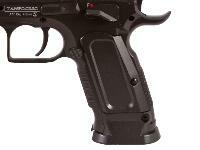 Shoots too high even for the adjustable rear sight but that does not bother me at all. Is anyone else bothered by the nearly winglike safety levers? I can't help but think these things are unnecessarily wide. Would it hurt the gun any if I took a file to them and reduced their size a bit? OH! And the mag release button! I'm a lefty and that thing sticks out WAY too far for me. Thoughts?